Did you know these five fun facts about dogs? 1. No one knows exactly how many dogs there are in the world, but estimates say well over 500 million. 2. 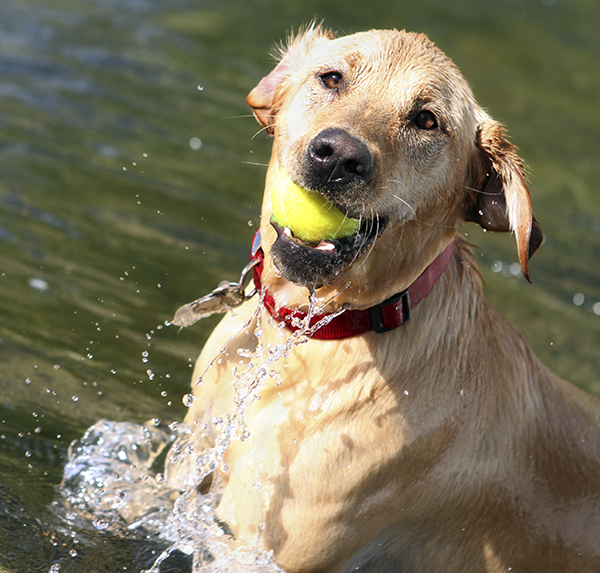 The Labrador Retriever is the most popular dog around the world, counted by registered ownership. They are wonderful pets and reliable workers often used as guide dogs. 3. A dog can differentiate odors in concentrations nearly 100 million times lower than humans can. 4. Experts disagree on how long dogs and humans have wandered side by side, but it might have been over 30,000 years ago. 5. A dog's whiskers are touch-sensitive hairs. They can sense tiny changes in airflow and help the dog navigate the world.